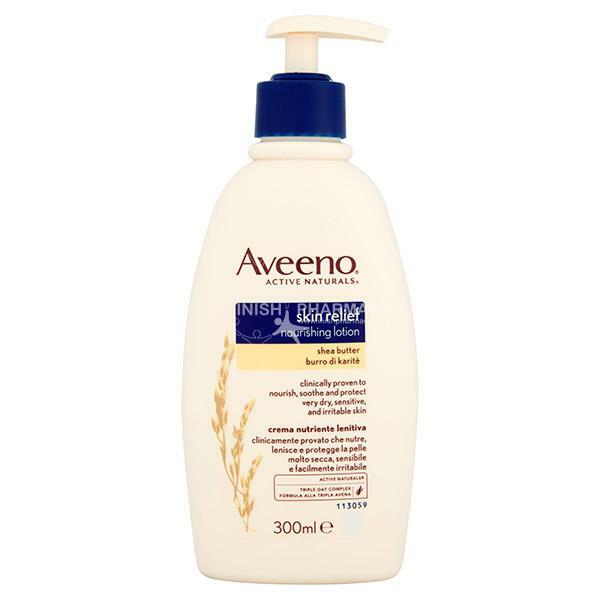 The Aveeno Skin Relief Shea Butter Moisturising Lotion provides instant relief for dry to extra dry and irritable skin. The fragrance-free lotion moisturises and nourishes the skin for up to 24 hours. Contains finely-milled oatmeal, oat oil, oat essence and shea butter.